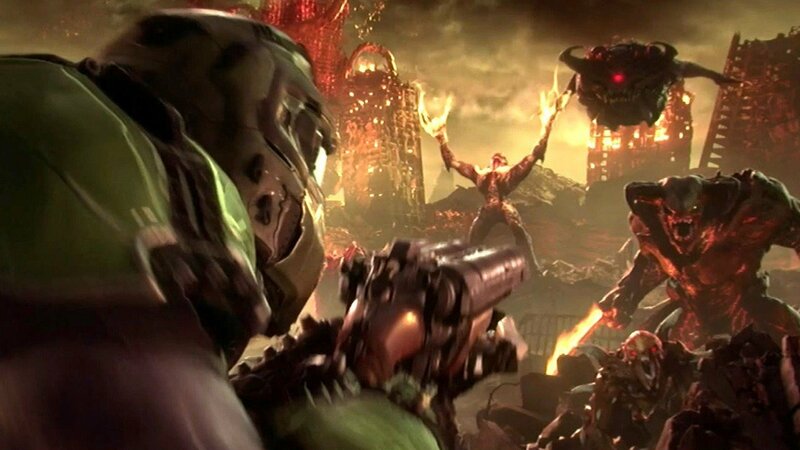 Play Doom online, kill demons and defeat evil Union Aerospace Corporation. Become the Dooms Slayer and travel to Hell and back. Enjoy fast gameplay, scary monsters and a lot of blood! You are the last chance of humanity. Play now! 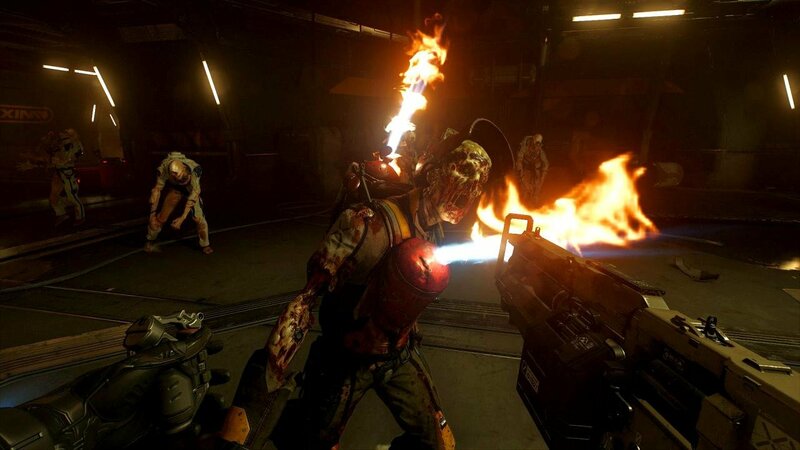 Doom is a first-person shooter and a reboot of a cult classic franchise. The fourth installment in this classic series is a continuation of a world-famous hit. You will take the role of an unnamed space marine. It is time to fight forces from Hell and Union Aerospace Corporation that released them. Your battleground? Colonized planet Mars! This game is more similar to the first part of the series. Its fast-paced gameplay and open- end levels will remind you od Doom 1. If you played Doom 3 you probably know that it was a survival horror type of game. You will find something different in the latest installment. Fast action and a lot of destruction! Do you love to play with friends? 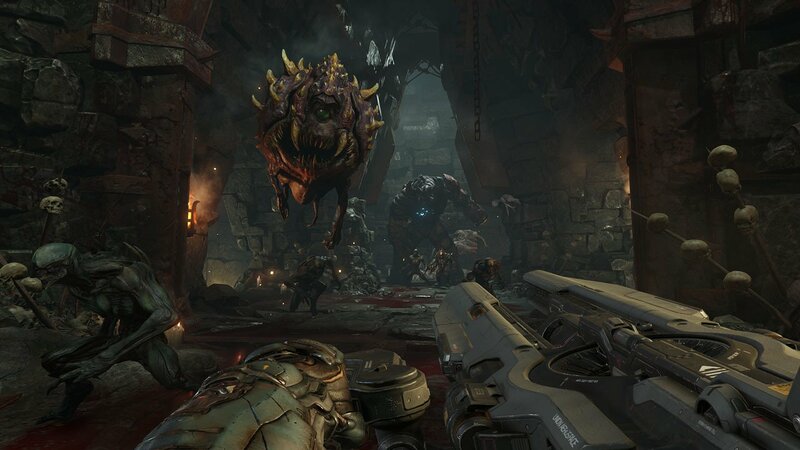 The good news is you will be able to play Doom in multiplayer mode! HOW TO PLAY DOOM ONLINE? This game will take you to a research facility on Mars. You will meet the facility director Samuel Hayden whos mind inhabits the body of an android. In the facility, researchers tried to draw energy from Hell. They managed to mess things up pretty badly. The idea to solve the energy crisis on Earth by using demonic powers was not a good one. This game shows that humans and demonic powers don’t mix well. After one of the researchers make a pact with the demons to open the portal to Hell. Here comes your character - The Marine or as some call him the Doom Slayer. You will have to kill demons and fight your way through the overrun facility. If you want to win this fight with the forces of darkness you will have to be smart, fast and a badass. One of the features of the game is big and deadly guns you will be able to use. You will also be able to double-jump and ledge- climb during your gameplay. That will be an especially useful ability. You will be moving around industrial settings of UAC facility so it may come in handy. The combat system is designed in a way to discourage you from taking cover or resting. Your name is Doom Slayer and that means you have to live up to it. It's time for push-forward combat! You will not die so easily. You will be able to collect health and armor by killing enemies. That means if you kill demons you will get your health back. Another fun feature for you is newly introduced Glory Kills. That is a new melee execution system. When you give enough damage to your enemy you will be able to use this option to deliver a violent final blow. That will also give you additional extra health. Afraid your computer will not be able to support this game? Don’t be! Play Doom for Chrome or other browsers using Vortex. You can also take the game with you on your mobile and lay everywhere! You can play Doom online! CAN I PLAY IN MULTIPLAYER MODE IN DOOM 2? Play Doom online and take part in many multiplayer scenarios! What are the levels in Doom? Level 5: Argent Energy Tower. 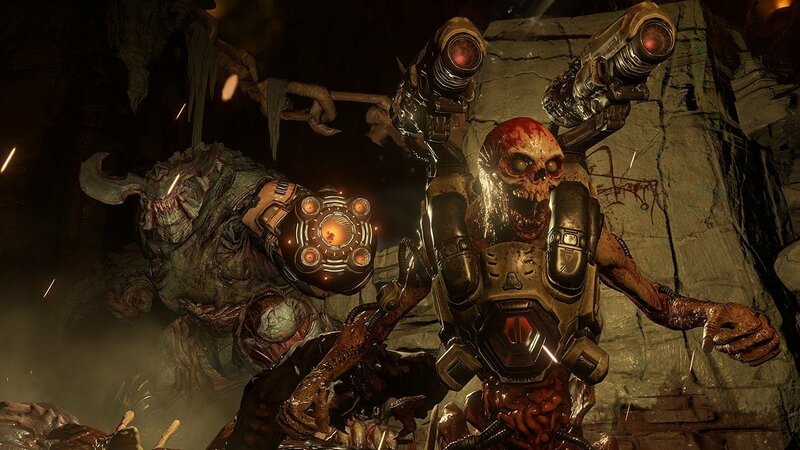 Is Doom 2016 a sequel or reboot? According to the creators, Doom 4 is neither sequel to Doom3 or a reboot. "Every game has a soul”, so Doom 4 should be viewed separately from other games in the franchise. Will Doom 2016 have a sequel? At this moment there is no news about a sequel to Doom 4. When did Doom 4 come out? Doom 4 was released on May 13, 2016, worldwide. You can play Doom online on Vortex Cloud Gaming for only $9,99! To play Doom you need to own it on your linked Steam account.